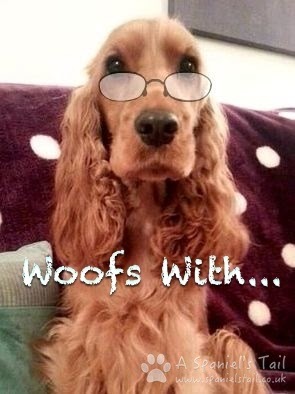 Welcome to the first in our "Woofs With" interviews, where we will be chatting to all sorts of people related with the dog and pet world. We already have lined up interviews with a groomer, vet and a PAT (Pets as Therapy) dog owner, along with a whole number of others that we are currently pursuing. 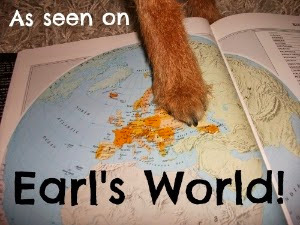 We have planned these to give you an insight into all the different aspects of the canine and pet world, whether it be activities, careers or business entrepreneurs that come into contact with the beloved canis lupus familiaris, or indeed the felis catus! Ever thought about setting up a pet business or pursuing a pet related career? We will ask all those questions about how to get started, advice on starting up, what the best and worst things are, and what a typical day might involve.We hope you enjoy them, or perhaps are even inspired by some of them. 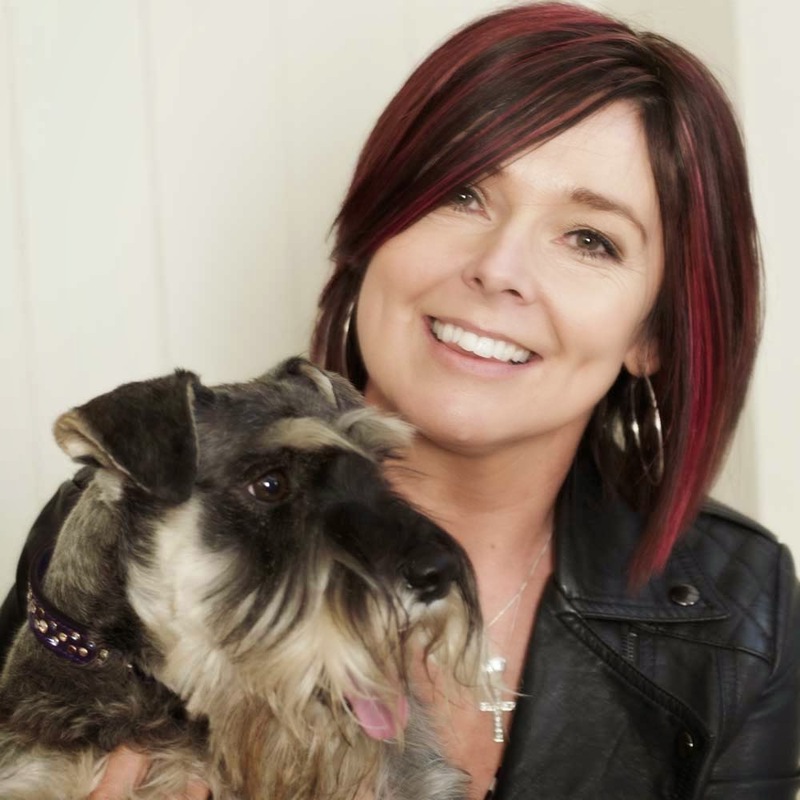 Today, we are chatting to the lovely Jane Hogan, founder and creator of the online pet store, Dog & Pup! Jane Hogan, founder of Dog & Pup, with Jester the Product Tester! Dog & Pup Store (www.dogandpupstore.com) is an online department store for dogs and their owners. We sell great looking products which you can trust to do the job for you. Most of our products are made in small factories and workshops here in the UK. We support small dog charities through a really innovative charity scheme we run, and we try to work with young and up and coming companies as well as more established brands. Any furry friends in your life? Well I share Jester, my business partner and product tester with my best friend Janice and her hubby Steven. Jester is a super handsome miniature schnauzer with a magnificent beard. He’s a right chatterbox and there’s nothing he likes better than camping and caravanning. Sadly there’s nothing I less like to do than camping and caravanning. He’s off with Janice and Steven now, touring the UK’s seaside resorts, this week it’s Great Yarmouth. I also share two horses with my friend Helen, Monty, a gorgeous older man who takes me round the roads and countryside safely, and Q. Q’s a fancy Oberon Horse who’s bred from one of the queen’s stallions. He can do everything but I don’t leave the ground these days! I help out with the schooling and dressage and Helen does all the exciting stuff. What inspired you to set up Dog & Pup? You can read part of story in our about us section, about how my friends and I couldn’t find online pet stores we wanted to shop in. But there were other reasons too. I’ve always worked in business development and marketing, and I wanted to understand how you really connect with people online (who you’ll almost certainly never meet). I had been trying to teach myself how to do it, but it just didn’t work in the abstract, so I decided the time was right to set up an online store. How did you get the business started? I get up at 6am and have an hour or so to get my Tweets and Facebook posts sorted out for the day. When I’ve walked the girls to school I crack on with the main part of the day. It’s still early days for Dog & Pup, so I’m very much building audiences, not fulfilling loads of orders! Each day will involve a combination of social media, finding or writing new features and content, talking to brand owners about potential products, looking at all the analytics around the store, trying to get press coverage, e-newsletters and thinking about what people might want to read about next. I will (especially as the nights draw in) try to get a cheeky schooling session in with one of the two horses I ride, and early evening I’ll go to the gym and spend some time with the girls. I normally work until about 10pm, I’m quite productive in the evenings, and I find a couple of gin and tonics get the creative juices flowing a treat. What is the most rewarding thing about running your own pet business? I love meeting and talking dogs with owners who get so much out of dog ownership and who know everything about their breed, character, likes and dislikes. I especially enjoy getting Phoebe and Caitlin my six year old twins and all our friends and their dogs involved. Phoebe does the video product reviews and Caitlin has done one too. They both take part in the photography sessions, as do all of my friends and their dogs. It’s just a big crazy, noisy chaotic venture when we do the video and photography – great fun! I love the little successes you have, like the first time we got a product into The Telegraph Fashion and Town & Country online, and when somebody posts a message to say they love Dog & Pup, it’s a fantastic feeling. And what is the most difficult thing? The wonders of social media and email do mean that sometimes I can go a few days without actually speaking to anybody! When I started out in business 80% of my communication was by phone or in person. Now it’s probably reversed. I do feel a bit lonely sometimes. When you do something for the first time and you think it’s brilliant and nobody notices, that’s tough too! That can happen over and over and then you get a flurry of sales and you think ‘Ooh where did they come from?’ and you don’t connect it to all the hard groundwork you put in. And finally, what would your best piece of advice be to someone who is thinking about setting up their own business? If they’re planning a pet-based business I would say hurray for you! It’s a really lovely business to be in. Fundamentally everybody I deal with (my suppliers and customers) are lovely people. You can’t love animals and be a rotter, it’s not possible! I would also say you have to be prepared to make a big effort over a long period of time before you make any money at all (double or treble how long you think it will take). So be in it for the long game, and be sure it’s something you’ll enjoy even if you’re not making any real money for a long time. And I would also say don’t outsource anything for the first six months at least. That way you will control every aspect of your business and make sure it’s exactly how you want it to be. Finally the funny thing is that although everything’s online now people still do business with people they like, so do make the effort to get out from behind the computer and meet as many people as you can. Thanks Jane, we've really enjoyed chatting to you - thanks for participating! Nice interview. I always find it interesting how people choose their career. I'm looking forward to reading more of your interviews. I'll be signing up to get your email alerts for the next interviews! I think you did a "stellar" job with your interview! Enjoyed it! Great interview and very interesting. We will pop over and take a look at their website right now. Have a terrific Tuesday.